Olivier de Schutter must be finishing up his six-year term as the United Nations Special Rapporteur on the Right to Food. Unhealthy diets are now a greater threat to global health than tobacco. Just as the world came together to regulate the risks of tobacco, a bold framework convention on adequate diets must now be agreed, he said. De Schutter, who has held his post of special rapporteur on the right to food since 2008 and earlier headed the Paris-based International Federation of Human Rights, reports to the U.N. Human Rights Council in Geneva. In 2005, a U.N. convention on tobacco control aimed at reducing deaths and health problems caused by the product went into force after long negotiations under the umbrella of the WHO. “Public procurement represents a rare opportunity to support more nutritious diets and more sustainable food systems in one fell swoop,” he said, as he released his final publication as UN Special Rapporteur on the right to food. De Schutter has done honorable work as Special Rapporteur and his role in this position will be missed. On December 19, Food Chemical News reported that Pascal Lamy, secretary-general of the World Trade Organization (WTO) “traded blows” with United Nations’ Special Rapporteur on the Right to Food, Olivier De Schutter, over the role of trade in food security. As far as I can tell, the “blows” were figurative, not literal, but the debate was real. De Schutter had written a report questioning whether greater trade liberalization—the goal of WTO—could deliver on food security (for the basis of this debate, see below). For some time now, I’ve been following the De Schutter’s work, not least because he is using the office of Special Rapporteur as a bully pulpit from which to promote healthier and more sustainable and equitable food systems throughout the world. De Schutter, among other things, is my occasional colleague at NYU. Olivier De Schutter (LL.M., Harvard University ; Ph.D., University of Louvain (UCL)), the UN Special Rapporteur on the right to food since May 2008, is a Professor at the Catholic University of Louvain and at the College of Europe (Natolin). He is also a Member of the Global Law School Faculty at New York University and is Visiting Professor at Columbia University. Report both to the UN General Assembly (Third Committee) and to the Human Rights Council on the fulfillment of the mandate…In addition to addressing structural issues threatening the full enjoyment of the right to food, the Special Rapporteur may send communications to governments, called letters of allegation, in urgent cases brought to his attention by reliable sources. Take a look at the documents listed under these categories. 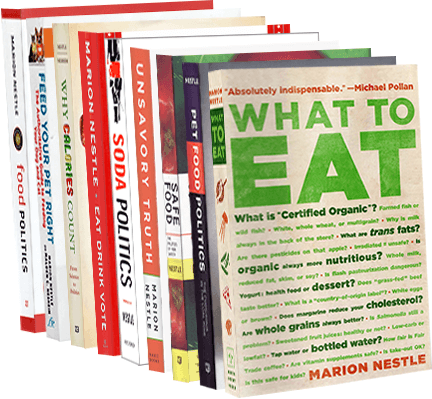 They are a terrific resource for anyone interested in the human right to food.